On entering this stunning and immaculate property, you will feel the superior ambiance of luxury and quality. A true masterpiece of clever design and functionality for families, three spacious living areas offer brilliant indoor/outdoor flow to the resort style grounds abundant with mature trees. The kitchen is nothing short of breath-taking and will impress the most discerning home chef with stylish black granite bench-tops and high-quality appliances. Three spacious bedrooms with a study or fourth bedroom, master suite is absolutely stunning with walk through dressing room and wardrobe to the luxurious en-suite. This spectacular home is restful, tasteful and surrounded by quality residences offering privacy plus multiple entertaining areas in the cleverly designed garden oasis. The home has a double garage plus an additional huge garage/workshop with toilet and kitchenette that could offer a work from home situation. 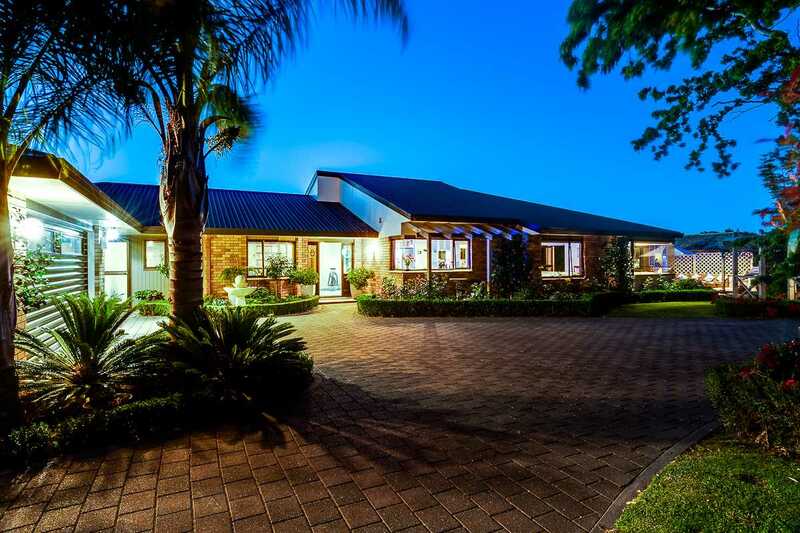 This truly special property offers both lifestyle and luxury in a quiet and sought-after location and still only a short drive to all the amenities, world class wineries, restaurants and schooling Taradale has to offer. Viewings by appointment only, call Darren Kerney or Tony Judson to arrange your private inspection.